It is possible to receive disability benefits if you have been diagnosed with thyroid cancer. It is possible to receive disability benefits if you have been diagnosed with thyroid cancer. However, depending on the severity of your cancer, you may not be awarded these benefits unless you can prove your case. Due to the length of time it takes to apply for and receive disability benefits, you may be through with the treatment for your disease by the time you get a favorable decision. If you are currently receiving treatment for thyroid cancer, Social Security may wait before making their decision until the treatment has time to take effect in order to see how quickly your body will respond to the treatment. Thyroid cancer is listed in the “blue book”, or list of impairments, under Malignant Neoplastic Diseases – Thyroid Gland. 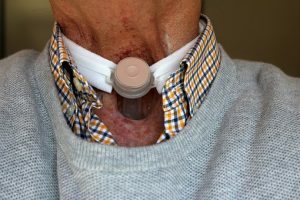 The requirements to meet this listing include things such as being diagnosed with carcinoma that has spread beyond the lymph nodes, despite radioactive iodine therapy. If you have been diagnosed with Anaplastic carcinoma, you could qualify for benefits more quickly because this form of the disease falls under the Compassionate Allowances Program. This program was created to allow social security examiners to quickly determine the most serious cases and allow them to receive benefits quickly. If you do not meet the exact requirements in the blue book, you may still qualify for disability benefits. 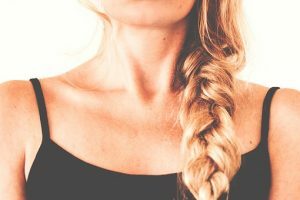 Someone who has thyroid cancer which was successfully treated through surgery could still qualify for benefits if the cancer spread to another area of the body. As with any disability case, medical evidence is important. 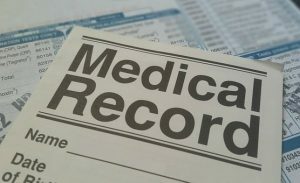 You should have Medical Records that show the type of cancer you have been diagnosed with, where the cancer started and where it has spread to. If you have had surgery or a biopsy, you should include operative notes and pathology reports. You should also have records of your treatment like medication and dosages. Disability benefits are for those who have a condition which prevents them from working. If you have thyroid cancer and the side effects prevent you from working you may still qualify, although it will be harder to prove your case. A Social Security Disability Examiner will consider your case taking into account your own impairments and limitations and will then determine if you are able to work or if you should receive benefits.